Unintentionally comical documentary focusing on the recording of the Snoop Dogg LP of the same name. 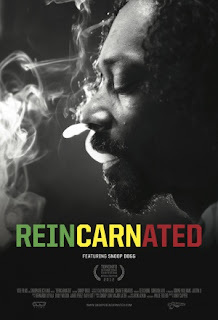 For some reason Snoop has decreed that rapping is yesterday’s news and wants to make a Rasta album. So he heads for Jamaica and just for good measure changes his name to Snoop Lion. In-between scenes of people smoking dope (I swear Bunny Wailer was smoking some through a carrot at one point), we get future Spinal Tap moments such as Snoop talking about walking “amongst his people” from the comfort of his people carrier. Oh and Snoop must be the only person in history to smuggle ganja into Jamaica. If you’re looking for any sort of insight into Rastafarianism then forget it. For that watch Kevin Macdonald’s excellent Marley instead.